25.09.1985 Gen. Wojciech Jaruzelski visit to UN, New York. First meeting with David Rockefeller, Edgar Bronfman – Chairman of World Jewish Congress, Zbigniew Brzezinski – President Jimmy Carter’s Polish-born national security adviser, and Lawrence S. Eagleburger, former State Department official, Richard W. Lyman, president of the Rockefeller Foundation, and many others. 30.11.1985 Edgar Bronfman visit to the USSR. Meeting with President Mikhail Gorbachov with tentative negotiations between the Soviets and Israelis, whose diplomatic relations were broken off by Moscow following the 1967 Six-Day War between Egypt and Israel. The highly secret purpose of these talks, say these sources: to engineer the airlift of possibly thousands of Soviet Jews to Israel. 05.12.1985 Edgar Bronfman visit to the USSR. Meeting with President Mikhail Gorbachov with objective to ask the Soviets to lift emigration restrictions for Jews who want to leave the Soviet Union and to allow religious freedom for Jews who wish to remain. The complex scheme, which involves the Soviet Union, France, Poland and Israel, probably would not take place until at least after the Soviet Communist Party Congress in late February. The plan is to move the Soviet Jews first to Poland and then airlift them to Israel. 09.12.1985 Gen. Wojciech Jaruzelski visit to Paris. Meeting President Francois Mitterrand, and representatives of Paris Club. Secret international talks on the departure of 15,000 Jews from the Soviet Union to Israel by French planes through Poland. 12.12.1985 Edgar Bronfman visit to Poland. Meeting gen. Wojciech Jaruzelski. UNITED NATIONS, N.Y., Sept. 25 — On his first full day in New York today, Gen. Wojciech Jaruzelski surveyed the city from the roof of Rockefeller Center. 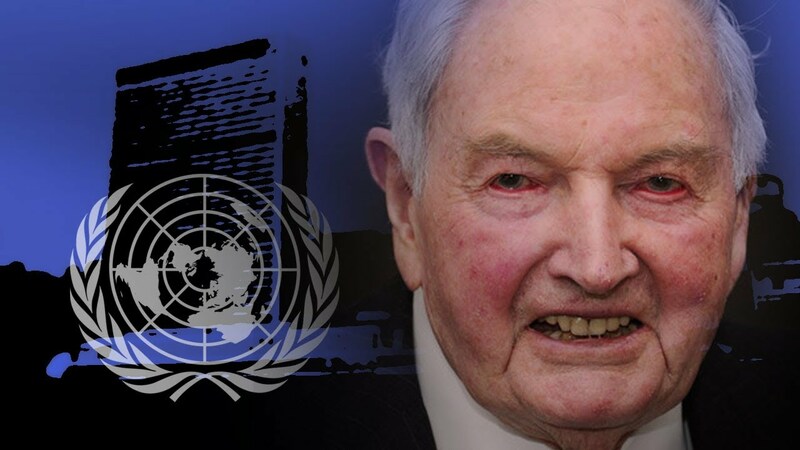 Turning to his host, David Rockefeller, at a private lunch, the Polish leader remarked that for such a big city, it was wonderfully clear, with little pollution. So far, he has lived up to his reputation as ”the sleepless man.” His first day began at 6:30, when he started preparing for a series of meetings that included a lunch of Canadian salmon, steak, raspberries and cream, and American coffee in the Rainbow Room of Rockefeller Center with Mr. Rockefeller, Zbigniew Brzezinski, President Jimmy Carter’s Polish-born national security adviser, and Lawrence S. Eagleburger, former State Department official. General Jaruzelski also had meetings with President Jose Sarney of Brazil and Prime Minister Felipe Gonzalez of Spain, gave a dinner speech at the Council on Foreign Relations, and met later with Edgar Bronfman, chairman of Seagram, the distillers, and president of the World Jewish Congress. At the Council of Foreign Relations, where General Jaruzelski addressed leaders of business, government and the press, he charmed women by kissing their hands as they met and joked with some of the men. Although Council proceedings are off the record, one member, Zygmunt Nagorski, who is vice president of the Aspen Institute, later related an incident that had occurred during a question-and-answer session. When Mr. Nagorski asked a difficult question about the imposition of martial law in late 1981, ending the Solidarity period, he began by congratulating the Polish leader on being so Americanized that he used the Senate system of filibuster in taking a long time to answer questions. On his visit here, General Jaruzelski is accompanied by his wife, Barbara, a professor of German philology at Warsaw University, and their daughter, Monika, 22, who studies Polish literature at the university. The general, whom aides describe as ”very modest, almost ascetic,” decided to stay at the Polish Mission to the United Nations on East 66th Street rather than in a midtown hotel. With military precision typical of General Jaruzelski’s team, his United Nations schedule is planned hour by hour. When he arrived 15 minutes late for an appointment with editors of Time magazine, Major Gornicki pointed to this unusual tardiness as proof of how successful the preceding lunch at Rockefeller Center had been. The Americans were also pleased by the luncheon discussion, which touched on a proposed plan to foster Polish agricultural exports. ”This effort has been going on for a couple of years, and we seem to be getting some place with the Polish Government,” said Richard W. Lyman, president of the Rockefeller Foundation. On Friday, in a speech to the General Assembly, he is expected to stress the need for strenghtening the United Nations and for a solution to Poland’s economic problems. The speech will be ”brief and to the point,” aides said, its purpose to show that Poland, one of the founders of the United Nations, takes it seriously. Polish-Americans are planning to protest General Jaruzelski’s activities. On Thursday, the Polish-American Congress, a Chicago-based group, intends to march from the Polish Mission to the Soviet Mission, at 67th Street and Lexington Avenue. A demonstration is also planned for Friday during General Jaruzelski’s speech at the United Nations. World Jewish Congress president Edgar Bronfman arrived in Warsaw today for a two-day stay during which he will confer with Polish President Wojciech Jaruzelski, meet local Jewish community leaders and attend a performance of the Warsaw Yiddish Theater now celebrating its 35th anniversary. Bronfman arrived in Warsaw from Moscow. No details were immediately available on his stay in the Soviet Union. The Jewish leader was welcomed at Warsaw Airport by the Polish Minister for Religious Affairs, Adam Lopatka, who, because of the role of the Catholic Church in Poland, is considered one of the three most prominent ministers in the Polish government. Jaruzelski’s special adviser, Maj. Wieslaw Gornicki, said that Poland is “warmly welcoming” the eight-man Jewish delegation led by Bronfman. He said the main subjects to be discussed will deal with the protection of Jewish monuments, the preservation of Jewish culture, and the upkeep of Jewish cemeteries and museums. Over three-and-a-half million Jews lived in Poland before the war and the vestiges of their civilization are considered a major chapter in the world Jewish cultural heritage. There are less than 20,000 Jews left in Poland today, most of them living in Warsaw. According to foreign correspondents in Warsaw contacted by the Jewish Telegraphic Agency by telephone, Bronfman told reporters at Warsaw Airport upon arrival, “I have come to Warsaw to discuss strictly Polish Jewish problems.” He denied rumors that he plans to discuss Soviet-Israeli relations or emigration plans for Soviet Jews. The World Jewish Congress president met Jaruzelski in September in New York where the Polish President attended the UN General Assembly. He also visited Moscow earlier this year carrying, according to certain unconfirmed reports, a message from Israeli Premier Shimon Peres to Soviet leader Mikhail Gorbachev. WARSAW, Dec. 13, 1985. Edgar M. Bronfman, the president of the World Jewish Congress, spoke candidly today about his talks with the Polish leader, Gen. Wojciech Jaruzelski, but he refused to say anything about the three days he spent in Moscow before his arrival here. High Polish officials have said Soviet Jews were not mentioned in General Jaruzelski’s talks last week with Mr. Mitterrand. Officials at Elysee Palace denied that the Mitterrand-Jaruzelski meeting concerned Soviet Jews. The Bronfman group was not reticent about its reasons for visiting Poland, where the prewar Jewish population of three million has been reduced to about 6,000 people, most of them old. ”We are businessmen who have come to do business,” said Israel Singer, the secretary general of the Jewish organization, which represents Jews in 70 countries around the world. The fourth member of the delegation is Kalman Sultanik, vice president of the congress. Mr. Bronfman said General Jaruzelski was resentful that American sanctions remain in force despite Poland’s release of political prisoners, which the Americans had said was a condition for lifting sanctions. Though the visitors said General Jaruzelski never mentioned any other Communist country, they said they got the impression that he was pained by the fact that Secretary of State George P. Shultz is on his way to Rumania. The three-day visit of the the Jewish leaders was well covered by the Polish press, with television reports of their attendance at a performance of the Jewish theater and their visit today to the site of the Treblinka death camp. World Jewish Congress president Edgar Bronfman held a three-hour meeting last Thursday with Polish President Wojciech Jaruzelski with whom he reviewed all outstanding problems of mutual interest. Bronfman remained in Poland over the weekend to visit the site of the former Auschwitz concentration camp. Polish officials, queried by the Jewish Telegraphic Agency by telephone, said that the meeting had been friendly and sincere. They said that only subjects of mutual interest had been discussed. Thursday’s meeting was the second of this year. Bronfman and Jaruzelski met in September in New York where the Polish leader attended the United Nations General Assembly. Bronfman had earlier last week attended a two-day business meeting in Moscow during which he conferred with a variety of Soviet personalities. When Edgar Bronfman, chairman of the Seagram Co., flew to Moscow in September as president of the World Jewish Congress (W.J.C. ), he was allowed to travel in his private jet, a relatively rare privilege for a Western visitor. At Moscow’s Sheremetyevo Airport, he was received cordially by Kremlin officials. Bronfman’s stated objective was to ask the Soviets to lift emigration restrictions for Jews who want to leave the Soviet Union and to allow religious freedom for Jews who wish to remain. Earlier this month Bronfman made another visit to Moscow, and last week sources familiar with the talks confirmed that he has been serving as a conduit in tentative negotiations between the Soviets and Israelis, whose diplomatic relations were broken off by Moscow following the 1967 Six-Day War between Egypt and Israel. The highly secret purpose of these talks, say these sources: to engineer the airlift of possibly thousands of Soviet Jews to Israel. Even so, the following scenario has been confirmed by sources in the U.S. who have been close to the negotiations. The plan for the airlift, they say, was Peres’ brainchild. When Bronfman visited the Soviet Union in September, he reportedly carried with him personal messages from Peres. One source with knowledge of the Bronfman visit insists that the communications indicated that if the Soviet Union were to release a significant number of Jews and renew diplomatic relations with Israel, it could perhaps have a larger role in Middle East peace negotiations. If the Soviets delivered the Syrians to the conference table, Peres allegedly implied, the Israelis might return part of the Golan Heights to Syria. In late October, Peres met with French President Francois Mitterrand in Paris. After that meeting, Peres publicly announced that an airlift of Soviet Jews was being proposed, and said that France had offered to supply the planes. Then three weeks ago, Poland entered the picture. Polish Leader General Wojciech Jaruzelski arrived unexpectedly in Paris for talks with Mitterrand. The meeting brought the French President criticism from his supporters, including Prime Minister Laurent Fabius. Neither leader would comment on the subject of the discussions, but sources now indicate that the two talked about an air link for Soviet Jews to Israel via Poland. Such discussions are, however, denied by Jaruzelski’s aides, and Israeli officials dismiss a broker role for Poland. Indeed, Budapest and Bucharest have been mentioned in the Moscow discussions as possible transit points, according to one source. Yet two weeks ago Bronfman visited Warsaw and, say W.J.C. sources, discussed with Jaruzelski the emigration of Soviet Jews. Whatever the exact state of these negotiations, everyone involved has something to gain from an airlift of Soviet Jews. 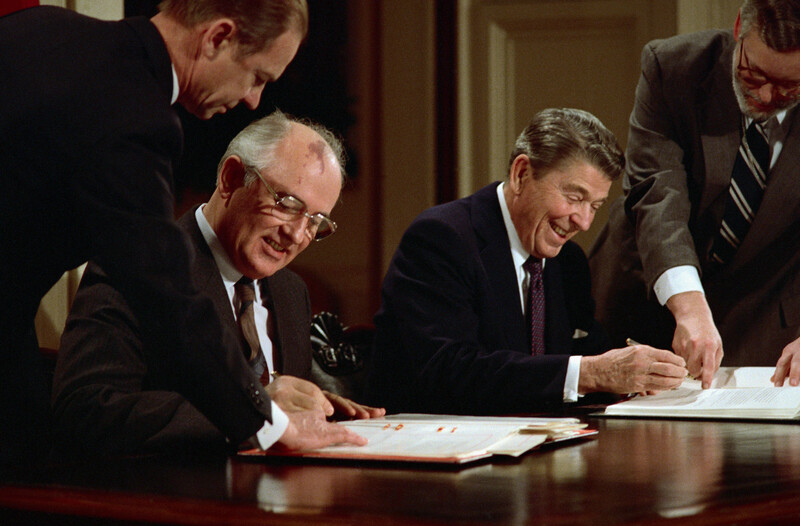 It might serve to increase trade between the U.S. and the Soviet Union, now restricted by the Jackson-Vanik amendment, which ties Soviet-American trade to improvements in human rights, particularly Jewish emigration. For his middle-man role, Jaruzelski might win some points on human rights, perhaps enough to erase U.S. trade sanctions against Poland. Jaruzelski is already making moves in that direction: when Bronfman visited him in Warsaw, the general agreed to make pension payments to Polish Jews living in Israel and to restore Jewish monuments in Poland. For now, at least, the major players are noncommittal. As observed in Paris last week by Samuel Zivs, a law professor at the Soviet Academy of Sciences and himself a Jew: „There must not be too much noise made around it. In other words, it must be pursued in the ways that Henry Kissinger once understood so well.” Skeptics at the U.S. State Department point out that the Soviet Union remains intransigent on its emigration policies. There is one sign of a thaw. Last month Jewish leaders were notified that Eliyahu Essas, the leader of the Jewish religion and culture movement in the Soviet Union, would be allowed to leave the country. Essas, 42, a mathematician, has been waiting for an exit visa for twelve years. Some Jewish leaders are optimistic about an airlift. Says one source close to the negotiations: „The Soviets haven’t said when or how many, but they’ve indicated they’ll do it.” For Soviet Jews, this could be the first crack in what might be an opening door. WASHINGTON, March 27— The United States praised Poland today for agreeing to fly Soviet Jews to Israel and deplored the decision of the Hungarian airline, Malev, to stop flights in the face of threats of terrorism. ”We deplore the terrorist threats which have led to these decisions. We believe a more appropriate course of action would be to provide the required levels of security,’‚ said the State Department spokeswoman, Margaret D. Tutwiler. Malev announced last week it was stopping the flights, which have carried thousands of Soviet Jews to Israel in recent months, because of threats by a pro-Iranian group based in Lebanon, the Islamic Holy War for the Liberation of Palestine. Tadeusz Mazowiecki, Poland’s first prime minister after the fall of Communism, as one of the architects of the modern, democratic Poland and as a friend of Israel and the Jewish people. Mazowiecki died on Monday at the age of 86. “Tadeusz Mazowiecki’s silent but effective diplomacy ensured that his country’s transition was successful. Together with Lech Walesa, he laid the foundations for what is today the strongest country both economically and politically in Central and Eastern Europe,” said WJC President Ronald S. Lauder.